Redlands artist, Dwight Ricketts has created a unique series of paintings which shows Ancient Greece in all its glory. 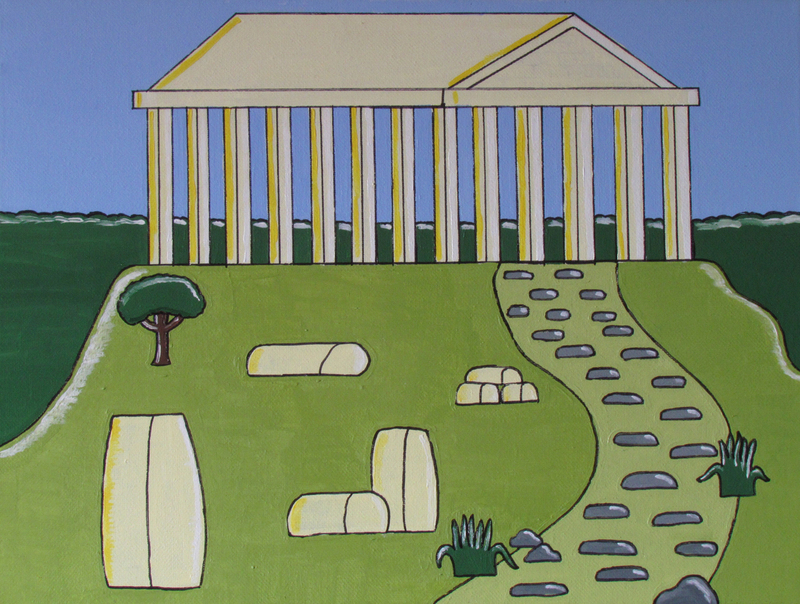 Dwight takes you on an historical journey through Ancient Greece, with his paintings highlighting Greek culture and everyday life at that time. A young man living with asperger syndrome, Dwight uses his art to express his views and feelings and create his own special language. Image: Dwight Ricketts, The Parthenon 2014, synthetic polymer paint on canvas. Courtesy of the artist.